Somchana Kangwarnjit of Prompt Design has recently been awarded a Gold Pentaward for t-shirt packaging design called Here! 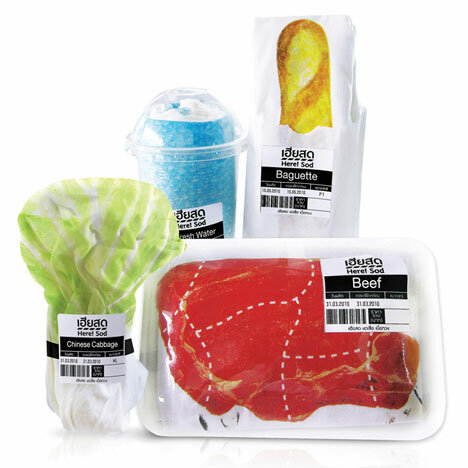 Sod – Each shirt is custom packaged to resemble a piece of pork or icy beverage. Here! 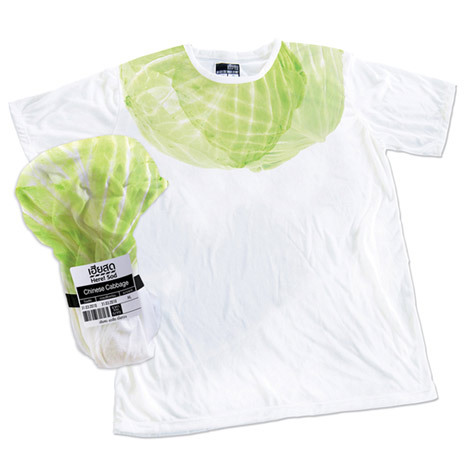 Sod created a new line of t-shirts that are sold in simple & distinctive packaging that resemble the packaging of food found in gourmet supermarkets. Each shirt is sold in packaging that resembles different forms of packaging. 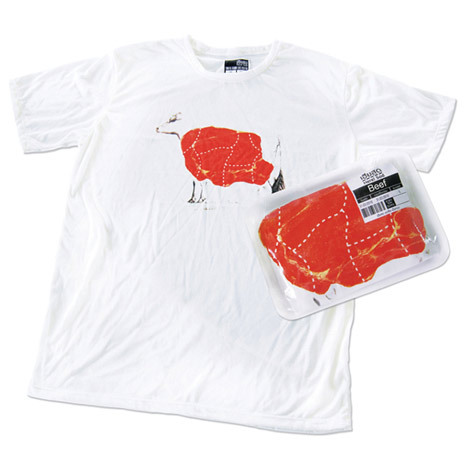 For example, a ‘pork’ t-shirt is sold in the Styrofoam deli packaging used in the butcher’s section of a supermarket. 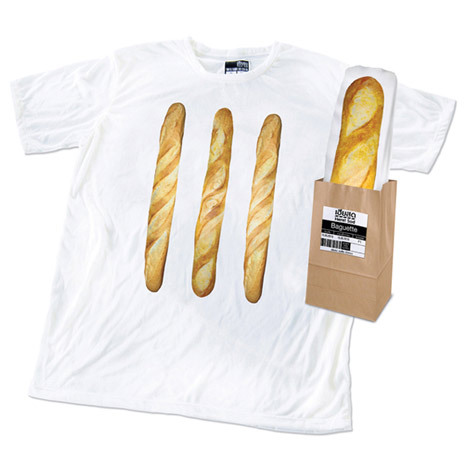 All the t-shirts in the product line are uniquely packaged to make their products more eye-catching and to create a fun & novel shopping experiences for consumers.